Cameron Bancroft has revealed David Warner suggested to him to tamper with the ball during Australia’s Test series in South Africa, saying he went along with it to "fit in and feel valued". Bancroft was seen attempting to alter the state of the ball during the third Test in Cape Town in March, with what was later confirmed to be sandpaper, while a Cricket Australia (CA) investigation said Warner was responsible for the plan. Australia vice-captain Warner and skipper Steve Smith were both handed one-year bans while Bancroft received a nine-month ban - which runs out this weekend. CA confirmed last month the bans for the trio involved in the scandal would not be reduced. I didn't know any better because I just wanted to fit in and feel valued really. "Dave (Warner) suggested to me to carry the action out on the ball given the situation we were in the game," Bancroft told Fox Sports. "The decision was based around my values, what I valued at the time and I valued fitting in... you hope that fitting in earns you respect and with that, I guess, there came a pretty big cost for the mistake." 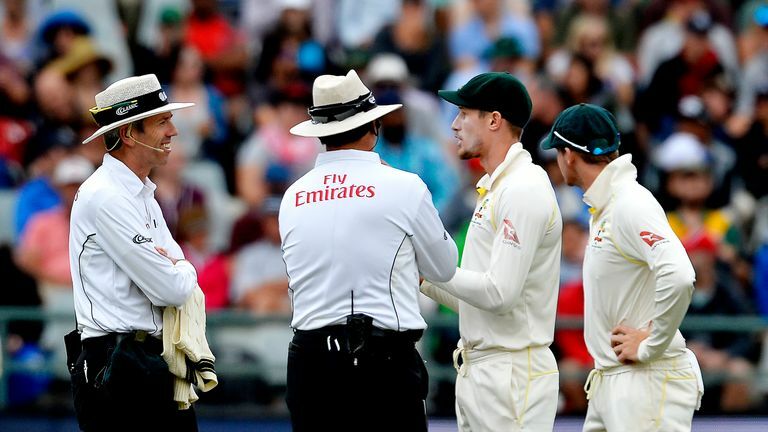 Sandpaper and sackings... we look back on the ball-tampering scandal, which rocked Australia and cricket worldwide, to its core. The opening batsman admitted he had to take responsibility for his part in the scandal which rocked cricket earlier in the year, saying he is not a "victim". "I take no other responsibility but the responsibility I have on myself and my own actions because I am not a victim," he added. "I had a choice and I made a massive mistake and that is what is in my control." Bancroft's ban from international and domestic cricket expires on December 29 and he is then available to play for the Perth Scorchers in the Big Bash League. The 26-year-old revealed last week he nearly quit cricket to become a yoga teacher during his ban from the sport. Former captain Smith admitted last week he knew of the plan and failed to prevent it, adding there had been "dark days" following the incident. "I've made a mistake and it was a big mistake and I'm trying to move on from that and improve as a person," Smith said.